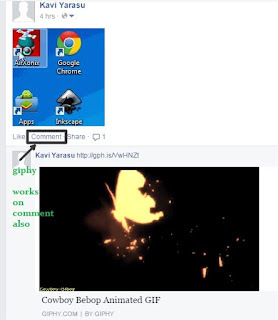 After a long wait animated gifs on facebook are working.But wait giphy site is now made this awesome facility .So your work is now you have to search the animated gif at giphy , copy the giphy link and just publish it on facebook. Giphy is one of the best place to search, share, and discover animated GIFs on the Internet.And giphy has powerful search engine which helps to provide best and most popular GIFs around the web.You can create a free account at giphy and you can upload the file(animated gifs)without any restrictions for size. First of all goto giphy.com . Search an animated gif through various categories according to your needs. Just copy the link as shown in above image and now paste the link in your facebook newsfeed, the profile page, the permalink of the post, embeds of the post, and also comments!!! . Now click player button and now you can see the animated gifs working. 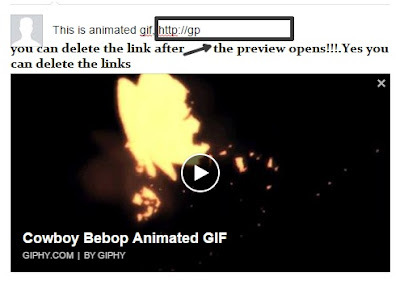 Giphy link is not a must when the preview loads. You can delete the link which looks good at your status bar. 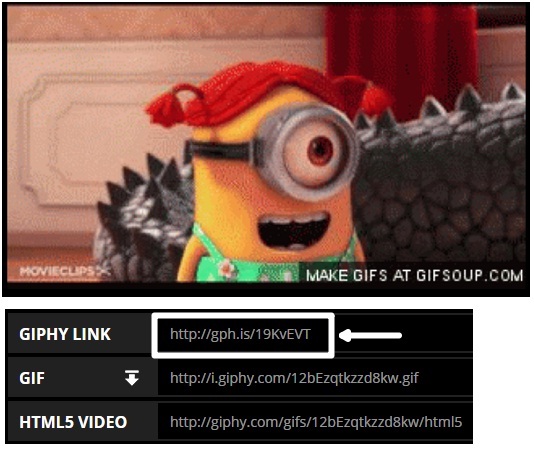 Giphy says,”You can also edit the title and description of the GIF. Click [Post] and your GIF will play on Facebook” .When we tried to work on it ,actually not worked for us. But we are not sure it’s our problem or net problem. You should have a check on this. Giphy animated gif is working on facebook comment also. That’s all friends .Now it’s your time to switch from smileys to animated gif. 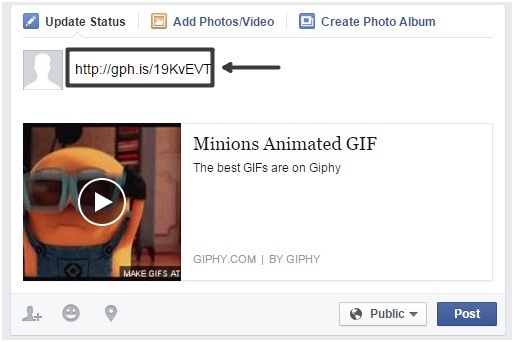 Rush with animated gifs on facebook.